Editor’s note: This is a true story of an old mother with language barriers travelling half the globe to meet her daughter. 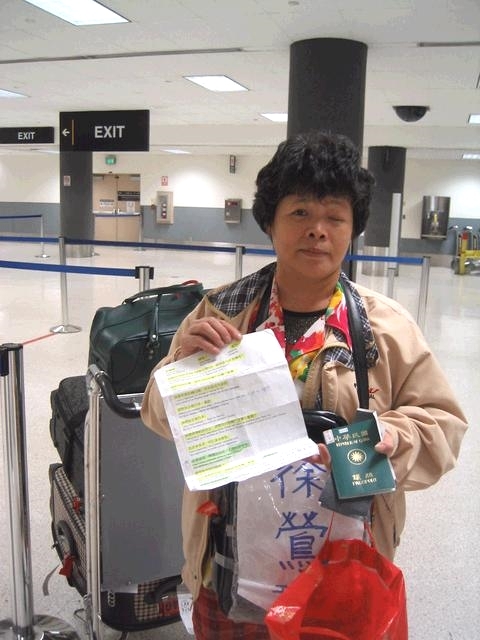 The story was recorded by a reporter Ms. Xiao who happened to meet this mother at L.A. airport and assisted her. 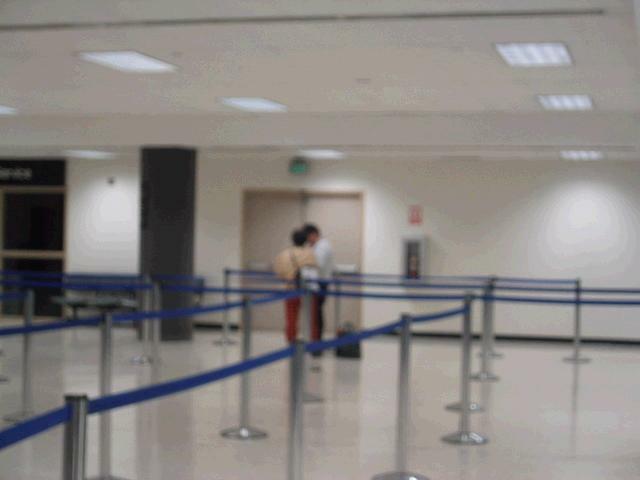 December 14, 2006, 11:24 late night, my photographer Guo and I are at Los Angeles International Airport in the United States, queuing to get through passport control. Our flight departed from El Salvador, so it’s natural that the queue is mainly made up of Latin Americans, except Guo and me as well as an old woman. 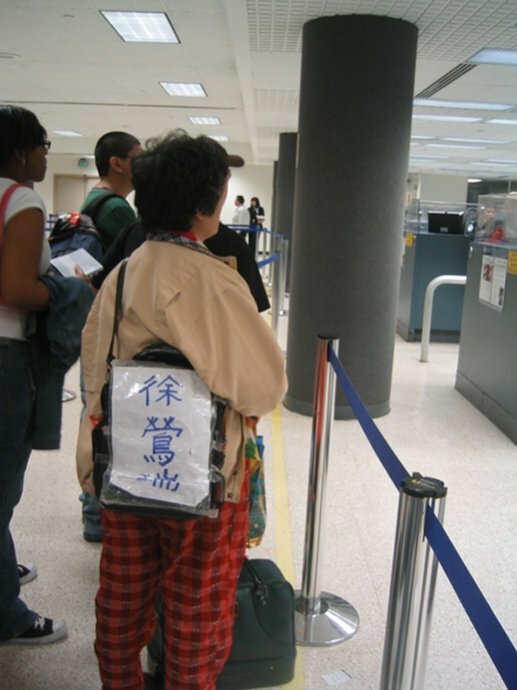 The old woman is at the front of the queue, carrying a sling bag with a paper taped to it, on which the big Chinese words “Xu Yingrui” — her name — can be seen. The paper is as big as an A4 size paper and really eye-catching. It is written with blue bold text on a white background and wrapped tightly with thick layers of transparent tape on her black color sling bag. I suspect that she could be from mainland China. While Guo and I are talking attentively about the reportage that we just did in Honduras, both of us notice that the old woman turns around and looks at us from time to time. The old woman before me is actually a brave Taiwanese grandma. She speaks neither English nor Spanish, but to visit her daughter living aboard, she has changed several flights and traveled across half of the globe, with only the aid of this note. On the badly crumpled note, all rows written in Chinese are highlighted in yellow to make it easy for the old woman to read. 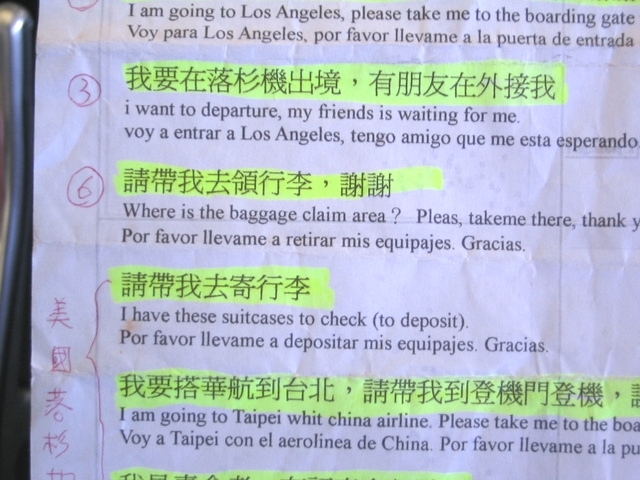 The first row in Chinese reads, “I’m going to Costa Rica to visit my daughter. Do I transit here?”, which is followed by the English translation and then the Spanish translation. The second row in Chinese reads, “I need to collect my baggage. Can you bring me there? Thank you!”, which is also followed by the English translation and then the Spanish translation. The note reminds me of my exam notes. 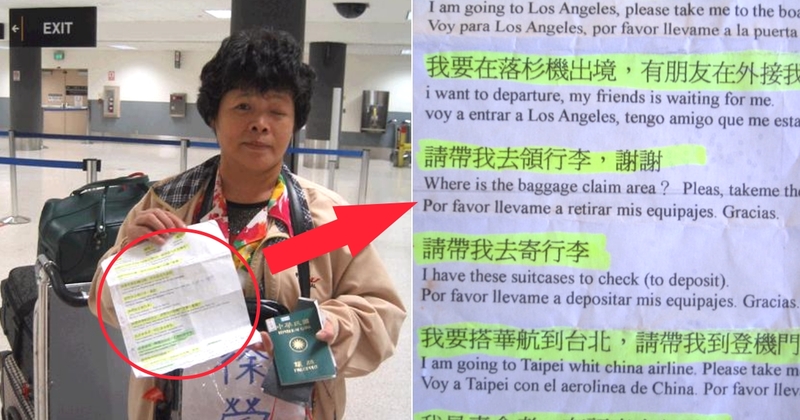 After reading it, I understand that the old woman has traveled all the way from Taiwan to Costa Rica alone with only the aid of the little piece of paper! Taiwan and Costa Rica are far apart. To fly from Taiwan to Costa Rica, one first needs to take a 12-hour flight from Taipei to the United States, then another 5-hour flight from the United States to the Central American air transport hub El-Salvador, and lastly another flight from El-Salvador to Costa Rica. In addition, the old woman also has to take a flight from her hometown Tainan to Taoyuan International Airport in Taipei. Thus, in total, she took four flights when she traveled from her hometown in Taiwan to Costa Rica. El-Salvador and Costa Rica are both Spanish-speaking countries, that’s why there’s also Spanish translation on the old woman’s note. The old woman tells me that her only child – her daughter, who moved to Costa Rica ten years ago after she married her husband. 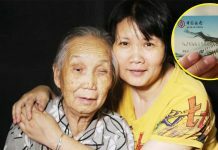 During the ten years, her daughter had only come back to Taiwan once; it’s when her grandson was one year old. 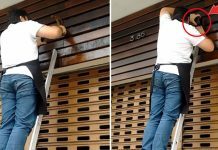 Her daughter recently gave birth to a second child, so she decided to travel to Costa Rica in order to take care of her daughter during the confinement period and also to see her grandchildren, whom she dearly missed. 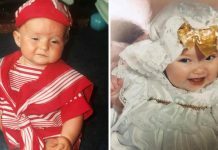 According to their original plan, her daughter would accompany her to Los Angeles but the plan is canceled because they couldn’t get a flight ticket. When we arrive at Los Angeles, the time is already over 11 o’clock late at night. The old woman’s connecting flight to Taiwan with China Airlines is in the afternoon on the next day. Her daughter has arranged for her to sleep at a friend’s house and the friend will pick her up at the airport. To make it easy for them to recognize each other, her daughter has taped the big white paper, with her name “Xu Yingrui” written on it, on her sling bag. The old woman’s flight journey is long, tiring and quite complicated. For example, when she flew from Taipei to Los Angeles, upon arrival, she’d to walk to an adjacent building for transit. The passage between the arriving terminal and the transit terminal, which is unusually long, is full of signboards with different English abbreviations written on them — KLM, NW, TACA, AA etc. KLM stands for Royal Dutch Airlines, NW stands for Northwest Airlines, TACA stands for Avianca El Salvador — a Central American airline, and AA stands for American Airlines. Even for a seasoned traveler like Guo and me, when we flew from Taipei to Los Angeles for transit to Honduras, we had the trouble of finding the transit counter of the TACA airlines in the airport, let alone a travel novice with language hurdles like this old woman, who’s to travel all the way from Taipei to Costa Rica and then from Costa Rica back to Taipei. I can only imagine how uneasy it must have been for her to make this journey. Looking at the old woman in front of me, my heart is deeply touched — she doesn’t speak English nor Spanish but yet she has flown across half of the globe for her daughter’s sake — and my tears are almost rolling down. To my surprise, before I even finish my words to Guo, I see the old woman is being escorted by an immigration officer to the other side of the hall. What’s happened? Guo and I become anxious but there’s nothing else that we can do. We look helplessly at her from far away while moving forward in the queue. After we’ve passed through the passport control, we proceed to the baggage collection area to collect our baggage. A young airport staff comes running toward me. He asks in a hurried tone while sweating profusely, “Do you speak English?” I reply, “Yes…”, but before I even finish my sentence, I discern a sign of relief on his face and a hint of smile reveals itself. He holds my arm gently, points toward the other side of the hall, and then swiftly brings me there. I notice that the young airport staff is escorting me to where the old woman is. I feel relieved. He must have been made confused by the non-English speaking old woman, so he’s looking around at the airport for someone to help him translate what the old woman says. He came to me since I’m the only Asian-looking girl in the airport at that time, and when I replied him that I speak English, he seemed to be unusually happy as if he’d met his lifesaver. But what he doesn’t know is that I’m probably happier than he is because I can help the old woman. I finally found out the reason why the old woman is detained: she has forgotten to fill out a blue form for arrival declaration. The kind-hearted immigration officer has already filled out most parts of the form for her according to the details in her passport. However, for questions such as “Are you carrying any drugs or illegal items with you?”, he isn’t allowed to declare on her behalf. “Don’t worry, we just need to complete the form.” I try to calm the old woman down, who appears to be extremely anxious after being detained, as I quickly read through the questions on the form. Frankly, I rarely read those questions in detail. For those who travel often, they know that the questions are more or less identical in every country, so they’ll just tick “No” for each of them. However, the immigration officer is right beside us, so I’m obliged to translate and ask the questions one by one. “Are you bringing any fruits?”, I ask. “No”, the old woman answers. I put a tick in the “No” box for the question while asking the next question. “Are you bringing any meat into the United States?”, I ask. “No”, she answers. The old woman replies cautiously with a sense of fear in her voice, pretty much like a primary school student. 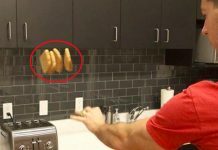 After a few questions, a trick comes into my mind. Since the immigration officer can’t understand us, I tell the old woman, “All you’ve to do is to shake your head to every question I ask. The items mentioned on this form are prohibited to bring into the country. I’ll help you fill out the form, what you need to do is just to shake your head.” She nods yes in reply. I’m shocked and afraid that the immigration officer might have seen her nodded her head and misunderstood that she carries with her the prohibited items mentioned on the form. Luckily, he didn’t see it, so we start acting. I pretend as if I’m asking questions when I’m actually trying to calm the old woman down. The old woman shakes her head as I tick off the “No” boxes one by one. After the form is filled out, I help the old woman arrange her documents. I tell her not to worry because there shouldn’t be any more problem. It’s the old woman’s turn again to get through the passport control. 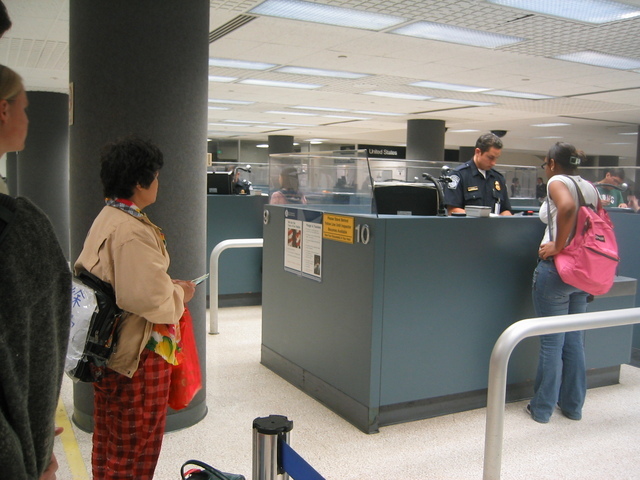 This time, no matter what the immigration officer asks, she simply shakes her head vigorously. 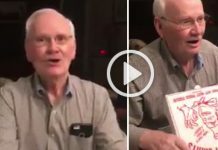 It’s funny but also heartwarming at the same time. 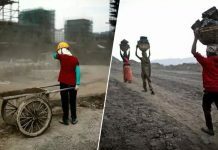 The story comes from a reporter named Xiao Huifen who works at a Taiwanese TV station. It’s her who lent a helping hand to this brave Taiwanese grandma at Los Angeles airport. 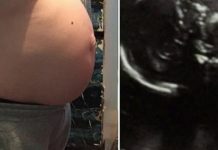 This story has touched millions of people for what a mother can do for her child and truly show that mother’s love is the greatest in the world. Previous articleGoldie drooled while staring at the hot pot and owner told him ‘If you want to eat get a bowl’! The next second, the ‘bowl’ brought over (LOL)….